Today, hundreds of con-goers packed into a room to hear Troy Baker (Booker) talk about his voice-over acting career. What we got was a Troy Baker LIVE acoustic concert, VH1 Storytellers style. Fans were delighted when a Troy Baker panel turned into a Troy Baker concert. As an encore, he made every BioShock fan’s day/week/life when he broke out into “Will the Circle Be Unbroken”; then he upped the ante even further when he called Courtnee Draper (Elizabeth) to the stage and they dueted Bioshock Infinite style. We were front and center, and now you can be too! 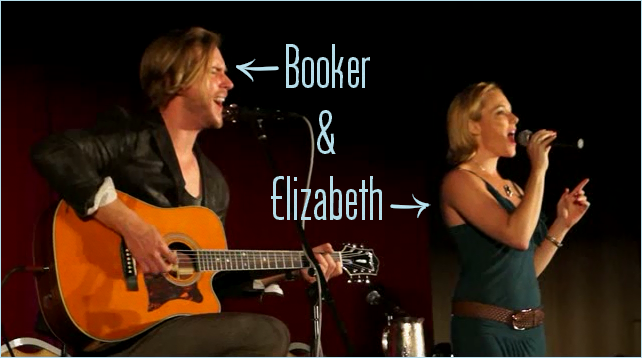 MomoCon and Nerdy Minds Magazine present… Troy Baker and Courtnee Draper LIVE! You can watch the whole Troy Baker panel/concert/comedy show here.